The current SARS “rogue” unit saga, which threatens to destabilise the country's revenue service, has all the hallmarks of a “black propaganda” campaign. The aim is to plant stories, confuse and obfuscate truth, and ultimately create confusion in the public realm to achieve a desired result; it worked successfully for the Bush Administration during the build-up to the Iraq war. The latest revelations suggest this could be a crisis that is a bigger systemic threat than Nkandla. By MARIANNE THAMM. One of the most frequently used phrases in the reporting of the fallout of the discovery of an alleged SARS “rogue” unit set up to spy on President Jacob Zuma and other powerful politicians, businessmen, tax evaders and organised criminals, is the “dual narrative” or “alternative narrative” that is being employed by the media in order to make sense of it all. In so doing, the media itself, particularly The Sunday Times who broke the story of the unit, has been brought into question. Who can we trust? Who’s telling the truth? What is going on at the country’s tax collection agency and who stands to benefit from the confusion and subterfuge? And, most importantly, was the newspaper used in an elaborate intelligence loop planned and executed using the media to sideline former deputy SARS commissioner, Ivan Pillay and others? And if so, why? As the saga drags out and on, it will be plagued by more questions than answers (for now) – a situation that is seriously damaging the credibility of one of the country’s most important institutions, its tax collection agency. This is a national crisis that might well require Minister of Finance Nhlanhla Nene to call for an entirely new and truly independent judicial commission of inquiry in order to restore faith in SARS and to get to the root of the rot. In particular, the Kroon Advisory Committee, set up by Minister Nene and headed by retired Judge Franklyn Kroon to look into allegations of fraud and irregularity at SARS, has been compromised by recent allegations that one of its members, Advocate Rudolf Mastenbroek, was the source for the Sunday Times investigation. In an affidavit by investigative journalist *Pearlie Joubert, who had worked for two years for the Sunday Times, and which emerged during a Press Ombudsman hearing brought this week by former deputy commissioner Ivan Pillay and group executive Johan van Loggerenberg against the newspaper, it is claimed that Pillay was axed from his position based on these untested Sunday Times reports. The Kroon Commission, in turn, appears to have done nothing more than read and accept preliminary recommendations of the Sikhakane Report – led by advocate Muzi Sikhakane – and did not call or cross-examine witnesses or test any of the evidence or allegations. The web of intrigue and apparent back-stabbing begins at SARS and ripples outwards, implicating some of the most powerful politicians and individuals in the country. This is a story of national importance – one of the most significant – perhaps even more destructive than the Nkandla Scandal. It threatens the political stability of the country which is why it has become so difficult to navigate through the fog. The heat was turned up a notch when Joubert’s affidavit was read out at the Press Ombud hearing on Tuesday. Joubert had given the sworn statement in support of SARS in October 2015 for a notice of motion brought by alleged tax offender and suspected drug smuggler, Martin Wingate-Pearce. Pearce, a businessman and shareholder in the tobacco company Carnilinx, is seeking a refund claiming information on his tax affairs were gained illegally by the unit. The editor at the time, Phylicia Oppelt, has in the meantime responded in a statement to Joubert’s claims saying that an internal investigation was launched when the affidavit was first brought to the attention of Times Media, owners of The Sunday Times. “An independent, external party conducted a comprehensive examination of Joubert’s accusations. None, however malicious and obviously driven by a personal agenda, was found to have substance – specifically the claim that my former husband held sway in the reporting on SARS,” said Oppelt. However, Joubert felt so strongly about the issue, she says, that she was prepared to break a golden rule of journalism disclosing her initial source as Mastenbroek, Oppelt’s former husband and an ex-SARS official. Mastenbroek and Joubert grew up together and had been friends for over quarter of a century. KMPG is the country’s biggest auditing firm and the report that Gill refers to in his statement refuting Joubert’s claims is not yet a public document. It was submitted to current commissioner Tom Moyane a few weeks ago, which begs the question how Gill could possibly know its contents. It would be safe to assume then that the report, or at least correspondence relating to it, has been leaked to The Sunday Times. Moyane initiated the KMPG report in the light of the preliminary Sikhakane Report as well as the Kroon’s Advisory Committee which found that the establishment of the covert unit was illegal. The answer as to how Gill might have had insight into the unreleased report might be found in a leaked memorandum to KPMG by the law firm Mashiane Moodley and Monama, dated 21 August 2015 and signed off by attorney David Maphakela. The memorandum is addressed to Johan van der Walt, a forensic auditor with KPMG (and who recently left SARS where he was employed) and serves “to provide KPMG with comments in respect of the South African Revenue Service report on allegations of irregularities and misconduct”. 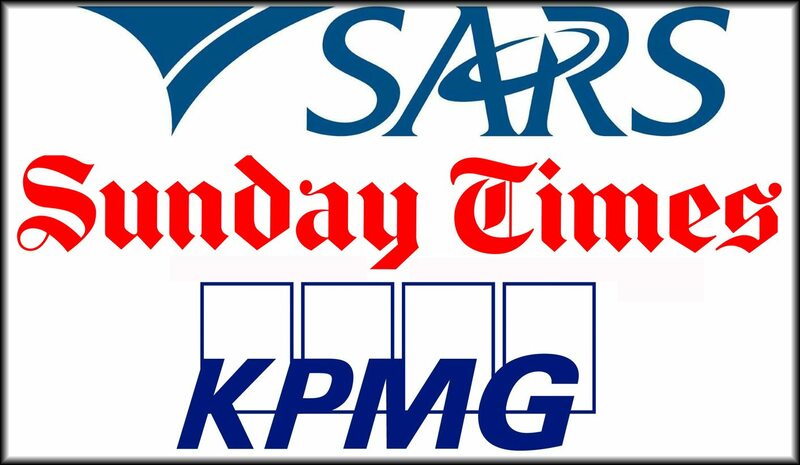 The memorandum by Mashiane Moodley and Monama also makes “findings and recommendations” to KPMG for inclusion in their final report creating, at best, a troubling and clearly problematic SARS echo chamber. Daily Maverick could not confirm whether KPMG had solicited this opinion from Mashiane Moodley and Monama – acting for SARS – or whether the document itself had originated from its offices. Maphakela told the Daily Maverick yesterday he could not “confirm or deny” the veracity of the memorandum or that it emanated from the offices of his law firm. “It is a SARS document and I am not authorised to speak to the media,” he told the Daily Maverick. Van der Walt also refused to confirm or deny to the existence of the memorandum, quoting his obligation to secrecy which prohibited him from speaking. That Mashiane Moodley and Monama may have made these findings and recommendations and supplied these to KPMG for inclusion in the final report appears to be grossly irregular, as the entire point of appointing an independent auditing firm is for it to conduct an independent investigation and to made independent findings. (Also problematic is the fact that Mastenbrook was previously associated with the firm.) It is unknown at this stage whether any of these recommendations have made it into the final KPMG report. It further “found” that SARS “unlawfully engaged in the procurement of surveillance equipment with the necessary interception capacity” including Pinhole lens cameras, signal jammers, GSM modules, SIGNET mobile GSM detectors, and “pulse” which was able to turn remote desktop and laptops into audio and camera surveillance devices. Further “findings”, among others, are that former SARS commissioner and later Minister of Finance, Pravin Gordhan, be “made to account” for the extension of Pillay’s contract in 2011, three years before it expired and also that Pillay be made to repay R106,446,420 spent on the creation of the so-called rogue unit. Gordhan and Pillay have both reportedly said that they were unaware of the contents of the KPMG report and had never been asked to make representations during the investigation. In a statement to City Press in October Pillay said that he was not the only person denied an opportunity to defend the charges and that none of the former SARS officials named in the report had been called to give evidence. “The alleged findings you refer to can therefore have no standing or merit in law,” said Pillay. This is certainly not the end of the matter. While Phylia Oppelt is no longer editor of The Sunday Times and Joubert says she now finds herself in a journalistic wilderness, the repercussions from this scandal are bound to play out in the media in the coming weeks and indeed involve the media itself as a potential key player. However, the taxpaying public, have been ill-served by a series of investigations that have now been called into question and have been compromised – not only by the current drama plaguing the Sunday Times but also by Gordhan and Pillay, who strongly question the legality of these probes.